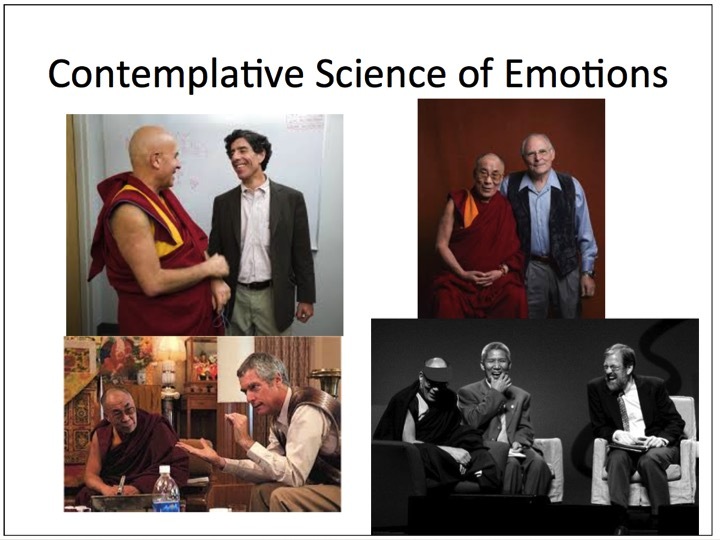 For more than two decades the Dalai Lama has recognized that the convergence of leading edge scientific research with the long-proven contemplative practices of Buddhism offers an historic opportunity to provide a program of mental training to tame destructive emotions. The seeds of CEB were planted at the 2000 Mind and Life Conference in Dharamsala, India. The subject for this meeting of scientists, philosophers, and monks with H.H. 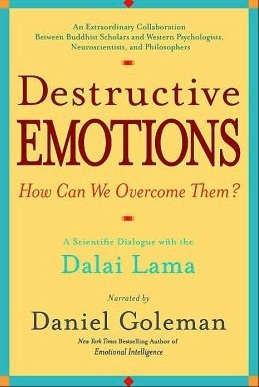 the Dalai Lama was Destructive Emotions. Co-moderated by Alan Wallace and Daniel Goleman, the scientific panel included Paul Ekman, Richard Davidson, and Mark Greenberg. Owen Flanagan provided the perspective of Western philosophy, and the contemplative wing was represented by the Dalai Lama, Thubten Jinpa, Alan Wallace, and Mathieu Ricard. Their five days of discussions is described in the book Destructive Emotions by Daniel Goleman. H.H. the Dalai Lama requested that action be taken to implement the ideas for improving emotional life discussed at the meeting by creating a leading-edge collaborative adult education program for emotional education and skills. Paul Ekman and Alan Wallace responded to that challenge and developed the first CEB curriculum (with input from Richard Davidson, Mark Greenberg and Mathieu Ricard), which was rolled in the first pilot in 2002. THE PSYCHOLOGICAL COMPONENT: The psychological component of CEB is drawn from the work of Paul Ekman, who is considered one of the foremost scientific researchers on emotion. Dr. Ekman’s famous studies in Papua New Guinea established the universality of expressions of emotions and launched his subsequent career at the leading edge of scientific research into the nature of emotions—a new and until then largely ignored field. During his more than fifty years at the forefront of research on emotion he authored more than 250 journal articles and is widely regarded as the dean of the field. THE CONTEMPLATIVE COMPONENT: The contemplative component is a thoroughly secular adaptation of 2500 year-old Buddhist practices for balancing the mind. The introspective skills of CEB are based on the presentation of B. Alan Wallace. Dr. Wallace is a dynamic lecturer, progressive scholar, and one of the most prolific writers and translators of Tibetan Buddhism in the West. Ordained by H. H. the Dalai Lama, Dr. Wallace devoted fourteen years to training as a Tibetan Buddhist monk and has taught Buddhist theory and meditation worldwide since 1976. After his monk’s training he earned an undergraduate degree in physics and the philosophy of science at Amherst College and a doctorate in religious studies at Stanford. As the author of more than 40 books, he is well-known for the innovative ways he seeks to advance the study of the mind through an integration of Western science and Buddhist contemplative practices.